When a person receives a diagnosis of cancer, it can invoke feelings of desperate fear and hopelessness. But there still significant reasons for hope once a diagnosis has been made. Chaim Sheba Hospital Cancer Center is rated one of the largest and most successful cancer treatment centers in Israel. Sheba's staff of oncologists, nurses, and technicians specializes in many different types of cancer, allowing them to provide patients with individualized treatment options according to his or her specific type of cancer. The aim is to minimize their fear and optimize treatment results. Administrator Dr. Ra’anan Berger and the staff of Chaim Sheba Hospital Cancer Center are dedicated to the medical treatment of cancer, as well as to other aspects of treatment as emotional support through a professional and innovative psychological approach. In addition, Sheba's research in the field of cancer allows the hospital to implement many innovative approaches to treatment. This is the driving force behind Sheba's success. In addition, we maintain close collaborative relationships with leading pharmaceutical companies to help develop and introduce modern cancer treatments and new anticancer drugs. More than 2,500 new cancer patients receive care annually. Approximately 25,000 outpatient procedures for cancer treatment are performed annually. The Cancer Center brings together a variety of industries related to the treatment of various types of cancers and receives about 37,000 visitors a year. Modern Radiotherapy (radiation therapy) serves approximately 2,000 new patients each year. The Department of Brachytherapy receives and treats about 270 patients annually. The Cancer Center hosts for more than 30 clinical studies relating to the developmental stages of cancer. We participate in continuing research within the Center''s laboratories. Chaim Sheba Hospital Cancer Treatment Center offers Israeli residents and international patients a professional staff of oncologists trained at the best medical centers around the world. Dr. Raanan Berger - Head of the Oncology Center. Raanan Berger is an expert in the fields of Clinical Oncology and Radiotherapy. 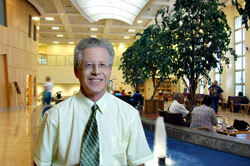 Dr. Berger is a graduate of the Faculty of Medicine at Tel Aviv University. Along with teaching clinical medicine, Dr. Berger was engaged in experimental cancer research in the laboratory of Professor Gidi Rehavam (Sheba Medical Center) and holds a PhD degree. After obtaining his PhD, Dr. Berger specialized in General Oncology and Radiotherapy at the Institute of Oncology, Sheba Medical Center. For several years, Dr. Berger served as a researcher at the prestigious Dana-Farber Cancer Institute (Boston, USA), where he focused on the research of prostate cancer in the laboratory of Professor Khan, one of the leading scientists in the field. Prof. Nagler specializes in Internal Medicine, Hematology and Bone Marrow Transplantation, as well as Cord Blood Transplantation. Prof. Nagler was trained in the field of Hematology and Bone Marrow Transplantation at Stanford University (Stanford, USA). Aaron Nagler is the winner of numerous awards in Hematology and Transplantation and holds more than 40 patents. Prof. Nagler served as the leading specialist in 15 clinical trials, is an internationally renowned speaker, has received more than 40 grants from the government, research foundations, and pharmaceutical companies, and has published hundreds of books and articles. Dan Aderka – Chief physician and specialist in the field of Digestive System Oncology. Member of the Israeli Society of Oncology and Radiology as well as the European and American Cancer Societies. Prof. Aderka was involved in the planning and execution of clinical trials for the 1st, 2nd, and 3rd phases of the treatment of digestive system cancers. Prof. Aderka carried out several academic research studies (in collaboration with the Weizmann Institute of Science) in the field of Tumor Necrosis Factor - TNF. During his career as a physician-researcher, Prof. Aderka has published more than 130 articles in various scientific journals. Dr. Zvi Simon – Head of the Department of Radiotherapy and Brachytherapy. Dr. Simon obtained his second specialization from the Oncological Radiotherapy Center for Cancer Research at the University of Michigan (Ann-Harbor, USA). There he was involved in the treatment of prostate, bladder, and digestive organ cancers, among others by utilizing new three-dimensional radiation techniques. Additionally, during his time working in the U.S., Dr. Simon studied Brachytherapy techniques (irradiation with the aid of a source implanted in the tissue during surgery) to treat prostate and female genitalia cancers. At Sheba Medical Center, Dr. Simon continues to work on new treatments for prostate cancer, including IMRT, IGRT, as well as various forms of Brachytherapy. Dr. Merav Ben David – Chief physician of the Department of Radiotherapy and the coordinator of Radiotherapy for the treatment of breast cancer as part of adjuvant therapy. Specializations: Clinical Oncology, Radiation Therapy, Radical Therapy for breast cancer. Dr. Roni Weitz – Head of the Sarcoma and Bone Tumors Center, Institute of Oncology. Specializations: Clinical Oncology and Radiology, sarcomas and bone tumors, tumors of the digestive system, breast cancer, prostate cancer, renal tumors. Dr. Weitz completed an internship with a specialization in the field of Oncology. He was in charge of the day hospital at the Institute of Oncology, Sheba Medical Center. At the Center, he founded a medical service which specializes in the treatment of patients with melanoma. In addition, Dr. Weitz completed internships in immune therapy in Germany and in the United States. He actively participates in a variety of clinical studies in the fields of breast cancer treatment, melanoma, colon cancer, and kidney cancer, among others. Professor Yaakov Schechter – Director of the “Ella” Institute for Melanoma Treatment. Deputy Head of Oncology at Sheba Medical Center. Dr. Schechter is one of the leading experts for the treatment of melanoma in Israel. The Oncology unit utilizes the most advanced surgical treatments for melanoma, and carries out large-scale population-based surveys to identify early signs of the disease. Only two clinics in the world – the Melanoma Institute at Sheba Medical Center and the US National Institute of Health - are licensed to test completely new experimental methods of melanoma treatment. Professor Gilad Ben Baruch – Head of the Department of Gynecologic Oncology. Acting Head of the Center for Obstetrics and Gynecology “Joseph Buchman”. Dr. Mario Bayner – Chief physician of the Department of Gynecologic Oncology. Specializations: Gynecology, Obstetrics, Gynecologic Oncology, Laparoscopic Gynecology, Cervical Colposcopy. Dr. Zohar Dotan – Head of the Department of Onco-Urology. Dr. On Amir – Head of the Department of Pulmonary Oncology. Head of the Clinic for Lung Function Disorders. From 2000 to 2006, Dr. Amir worked in the MD Anderson Cancer Center (Houston, USA), where he participated in a variety research and held an additional specialization in the field of Surgical Lung Oncology. Dr. Ran Harel – Chief physician of the Department of Neurosurgery. Specializations: Injury and brain tumors, spinal surgery, bypass surgery, pituitary surgery, and pediatric surgery. After completing his internship, Dr. Harel completed additional training at the Cleveland Clinic Spine Health Center (Cleveland, USA), specializing in the treatment of diseases of the spine and spinal cord. Dr. Victoria Vishnevetskaya – Head of the eye tumors and autoimmune diseases of the eye services. Specializations: A graduate of the Faculty of Medicine at Tel Aviv University (1989-1996). Specialization: eye diseases - Hospital Asaf Ha-Rofé (1998-2003), swelling of the eyes - Hospital Uila (1998-1999). Since 2001, Dr. Vishnevetskaya has served as a clinical instructor of Ophthalmology at the Faculty of Medicine at Tel Aviv University. She also lectures on eye in the elderly at the medical school at Hospital Asaf Ha-Rofé. Dr. Alon Skop – Chief physician of Dermatology at Sheba Medical Center, a world-renowned expert in the early detection of skin cancer. Specializations: Dr. Skop is mainly involved in the early diagnosis of melanoma in Israel, SCC, BCC, and other cancers, as well as monitoring patients at risk (patients with multiple moles, a history of melanoma or other types of skin cancer in the past or among relatives.) Dr. Skop also helps patients cope with the effects of chemotherapy, which causes changes on the skin. Dr. Roni Shapira – Chief physician of the Melanoma Treatment Center – Ella, Sheba Medical Center. Specializations: Dr. Shapira is a graduate of the Faculty of Medicine at Tel Aviv University. She obtained her specializations in Internal Medicine from the Meir Medical Center and in Oncology from Sheba Medical Center. Dr. Gal Merkel – Head of research laboratories at the Center for Research and Treatment of Melanoma and Skin Cancer – Ella, Sheba Medical Center. Specializations: Dr. Merkel is a graduate of the Faculty of Medicine at the Hebrew University and the Hadassah Hospital in Jerusalem. He is a lecturer at the Department of Microbiology and Immunology at the School of Medicine, Tel Aviv University. Dr. Merkel holds a doctorate in Philosophy and Immunology from the Hebrew University of Jerusalem. Dr. Ethan Ben Ami – Chief physician at the Center for Research and Treatment of Melanoma – Ella, Sheba Medical Center. Education: Graduate of the Faculty of Medicine at Tel Aviv University. Dr. Dov Zifer – Head of Chemotherapy at the Melanoma Center. Specializations: Dr. Dov Zifel studied medicine at Tel Aviv University. In 1993, he completed his internship at Sheba Medical Center. At Sheba, he specialized in General Surgery and completed his advanced training in Surgical Oncology at the University of Calgary, Canada. He specializes in the treatment of melanoma and chemotherapy. Specializations: Dr. Cohen studied at the prestigious MD Anderson Cancer Center (Houston, USA), where he specialized in the removal of tumors of the spine and brain. Dr. Cohen practices the Intraoperative Navigation MRI method, as well stereotactic techniques, and other methods. Dr. Yaakov Korach – Chief physician of the Department of Gynecologic Oncology. Specializations: Gynecology, Obstetrics, Gynecologic Oncology.